Reflecting upon my time with Heavy Rain has been interesting for many reasons, but mostly because of just how strongly the game's story affected me. Part of the appeal with Heavy Rain is its attempt to tell a mature story, one made up of realistic situations and believable characters. It's not the first game to try this, with the likes of the Uncharted series and Grand Theft Auto IV -- among many others -- trying to push the storytelling potential of the videogame medium forward. 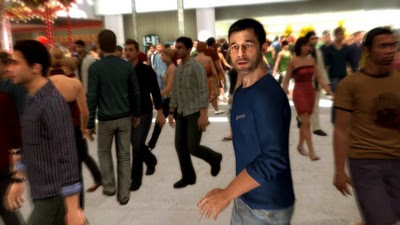 Even Fahrenheit (known as Indigo Prophecy in America), Quantic Dream's previous game, attempted this, all the way back in 2005. Telling a mature tale is nothing new to videogames then, but it is still quite rare -- the games industry's reliance on the notion that games are supposed to be fun arguably holding the medium back from reaching its full potential. Well, Heavy Rain is not fun -- in fact, on paper, the way the game is played sounds incredibly boring -- but it sure is one hell of an experience. The game's story centers around the Origami Killer: a serial killer who kidnaps young children and drowns them five days later. Naturally, the identity of the Origami Killer is unknown, and it's up to the four playable characters to discover who it is before his latest victim, Shaun Mars -- son of Ethan Mars, one of the playable characters -- meets the same fate. This is Ethan, for those who don't know. 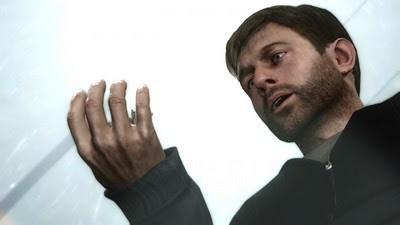 Viewed as I described above, Heavy Rain's story sounds like nothing special and somewhat cliché but, thanks in part to the multiple choices you can make along the way, it is instead one hell of a ride -- an emotional roller coaster of intense ups and depressing downs, all of them eventually culminating into a game like no other. Or at least, that's how it was for me. You see, Heavy Rain's choices are more than just a selling point for the back of the game's box; they really do have the potential to define your experience, resulting in a product that polarizes its audience for the right reasons, as opposed to the wrong reasons. The decisions I made in Heavy Rain truly defined my experience of it, making it more than just a story I participated in by making it my story. I genuinely felt guilty when the lives of some people were lost; I was genuinely shocked when the identity of the Origami Killer was revealed; and I was genuinely relieved when the intense, thrilling ride that is Heavy Rain reached its conclusion. The question of how far I would go for those I loved was meaningful because I did truly come to be enthralled by these characters. For example, at one point I was faced with a decision involving Ethan's finger: Do I chop it off in order to get another clue to Shaun's whereabouts or save Ethan the immense pain but risk the chance that I won't be able to save Shaun in time? To me, the decision was obvious: the inflicted pain upon Ethan's finger would be temporary, but losing his son? That's a permanent outcome that, frankly, is just not allowed, not after already losing Jason (his other son). In another moment, Ethan is faced with the decision of whether to drink a vial of poison. If he does, the final clue for the location of Shaun's whereabouts is revealed, but Ethan only has one hour to find him before he dies from the poison. On the other hand, not drinking the poison saves Ethan's life but at the possible expense of Shaun's. This decision, while seemingly basic, was very hard to make and is the first decision in a videogame that I've come across which has literally stopped me in my tracks and made me think about it. I contemplated the possibilities of each outcome for a good thirty minutes or so, finally deciding to drink the poison because I felt that saving Shaun was the more important outcome. It's not necessarily the content of the above decision that makes it meaningful or important to my experience, but rather how strong its impact was on me at the time I came across it. No other game, not even the more emotionally involving ones, have had the power to halt my progress and make me ponder what I'm dealing with. That's not to say that no other games can achieve such an outcome -- I've heard reports from plenty of people about moments in various games where they've had to stop playing and think about a situation -- it's just, no others have done it to me. Finally, after years of playing games, one has come along and has clearly meant so much to me that it was able to get under my skin and make me think about the consequences. The end result of such an effective game, in terms of affecting not only my thoughts and my emotions but my reactions to those, is absolutely no desire to play through the game again anytime soon. When put like that, it sounds like I don't care for the alternate endings available or the multiple variants to each situation, and in some respects that's true, but what I actually mean by it is that because Heavy Rain's story, my story, was so incredibly compelling and powerful, I have no reason to play it again. I'm left feeling satisfied with my experience, content with the way my story played out, and absolutely astounded by how amazing the final product turned out to be, after all those years of anticipation. 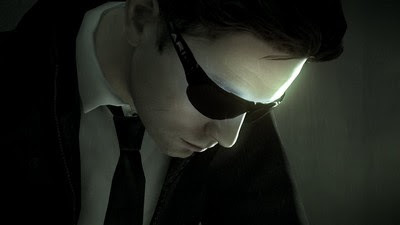 I realise that not everyone had satisfying conclusions to their stories, or were dissatisfied with how some things panned out, but as far as I'm concerned Heavy Rain's story was a success, not necessarily for what it attempts to do or who it attempts to involve, but because of how it took me for a ride I'll never forget. If that's not something worth waiting for, I don't know what is. I'm glad I came across someone else who wasn't jaded with the story. I'm just now getting around to reading all the spoiler filled posts written before I finished the game. I wanted to add, I don't know if you've finished Mass Effect 2, but it also had decisions that were very hard to make. While I loved it, the time sensitivity and controls of Heavy Rain made similar moral choices much more riveting. Jorge -- I've been surprised at all the negative responses to the story, actually. I don't know if it's because their story didn't go the way they expected it to or whatever, but it's almost as if they played a different game with some of the responses. And hell, maybe they did -- who knows just how far each little choice in Heavy Rain goes to make a completely different experience. All I know is that my own was great. Really satisfying. As for morality, well, I think we're finally getting to what developers have intended for moral choices. I want to explore morality a bit more (now that the bandwagon is over it) and find out my own thoughts, but we've definitely made progress so I can only hope that continues.